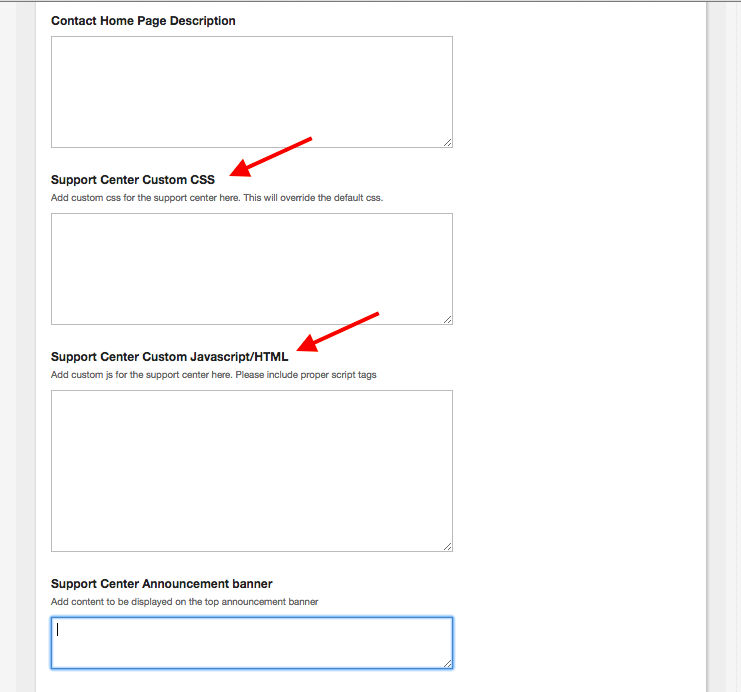 The Custom CSS and HTML/JS Editor allow the HappyFox administrator to customize the Support Center. Custom CSS and HTML/JS gives you the power to make your own design and modify your support page to fit your needs. The CSS Editor can be found under Manage >> Account Settings >> Support Center Settings. - Support Center main search header texture, header color and gradients. - Border colors for headings, border size. - Replace the existing white background with custom colors, textures, background image. - Change font settings for article pages. - Hover colors and hover effects.